Add a pop of colour to your lips with the PUPA Lip Brush, a tapered makeup brush that expertly applies and blends lip colour with expert results. Handmade in Italy, the brush is fitted with 100% natural marten bristles and has been designed with a tapered shape for maximum precision; it hugs the contours of the lips for a professional finish. 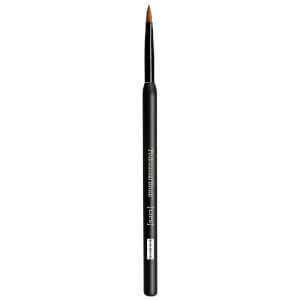 Blend lip contouring pencil, lipstick or gloss from the outer corners of the lips inwards. Use the tip of the brush to define Cupid’s bow.